Lady J's has been in existence for 31 years. 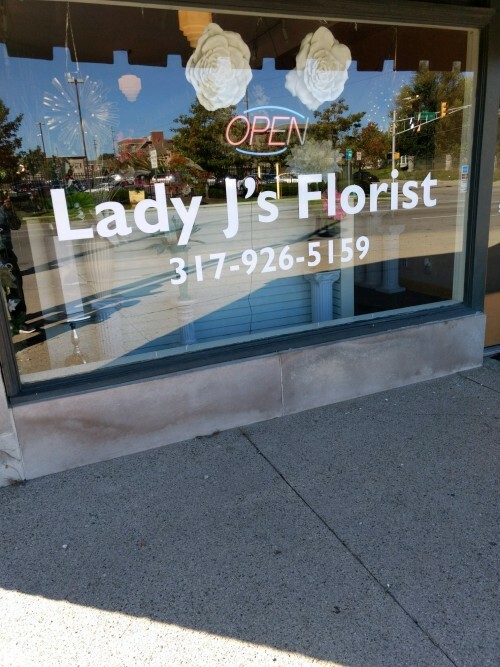 Lady J'S started at 38th and N. Illinois St.. Mrs. Denise Tipton, is better known as "Lady J". She and her team have a wealth of experience, knowledge, and expertise in the floral industry. Their area of expertise ranges from everyday arrangements to funeral work, weddings, silk flowers, and gift baskets. Denise and her team design for both commercial, and residential customers. Her husband, Reginald Tipton, assists her with many of the design and business endeavors. It has often been said that "Lady J's Always Goes That Extra Mile To Make You Smile! :) "
Our Design team has a wealth of experience in both fresh and silk flowers that has created a uniqueness that has caused thousands of customers to be satisfied by their experience at Lady J's. Wedding Flowers & Flowers for Special Events ~ Call us at (317) 926-5159 to schedule a consultation. We would love to help you start planning flowers for your dream wedding or any special event – large or small. Our talented designers create bouquets, flower arrangements and on-site decorating with each client's individual style and budget in mind. Thank you for visiting our website with flowers delivered fresh from your local Indianapolis, IN flower shop, Lady J's Florist, LLC!